After the film version of Les Miserables reignited interest in the 1,500 page book, a graphic started making its way around the internet featuring pictures from the movie. Overlaid on these images were the many pseudonyms of Jean Valjean—prisoner, mayor, gardener, and adoptive father—over the course of the epic. Whether identified by his prison number or the name of a friend, he never stops asking “Who Am I?” over the course of his many-chaptered life. 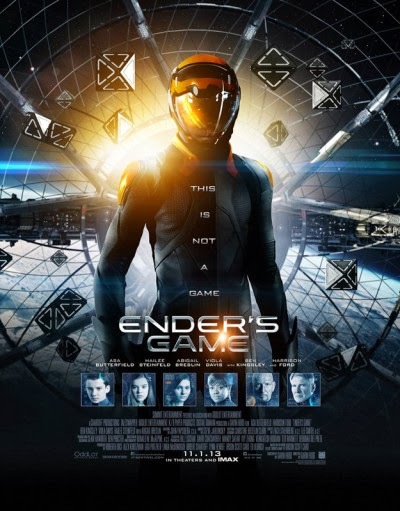 I thought of Jean Valjean when I watched the new film of Ender's Game and thought back to some of the aspects of the book and its sequels that I loved. On balance, I thought the film did a nice job of citing many different scenes from the book—but lacked some emotional resonance. While important quotes were translated onto the big screen, I didn't feel that the movie understood why they were important. 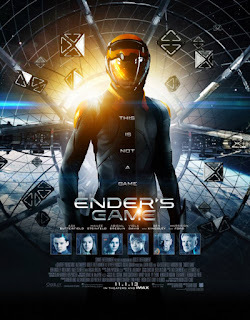 All the same, thinking back over Ender's Game and the follow-up books made me reconsider the many names of the movie's protagonist, Ender Wiggin. The names of some of the follow-up books reflect how Ender's life and legend have spread long after he defeats the alien Formics. He is known as the “Xenocide” for wiping out a species of sentient beings. Tragically, the Formic Wars were caused by a failure in understanding—when the Formics initially entered the solar system, they didn't realize that they'd started killing individual humans. After they were driven back, the human authorities didn't know that the provocation had been unintentional, and retaliated disproportionately. And although he was unaware of his role in the war, Ender was manipulated into genocide. In the books, the truth about the Formics' motivations is only revealed once a book called The Hive Queen is published. The writer, adopting the voice of a Formic leader, explains the misunderstanding, and signs the text “Speaker for the Dead.” This prompts a twofold reaction from humans: firstly, turning popular opinion of Ender Wiggin from a war hero to the Xenocide. And secondly, creating a ritual of Speakers for the Dead, where funeral orators do the best they can to create a composite narrative of recently-deceased community members. Of course, the original Speaker is none other than Ender Wiggin himself. He accepts the weight of revisionist history (to me a fascinating theme in some of Orson Scott Card's other work as well), thanks to his ability to empathize with his onetime enemies. In both the book and the movie, Ender plays a computer game that begins to draw on his own memories of his sister Valentine, displaying her within an otherworldly cave. That cave turns out to be drawn from the Formics' memory; when he journeys there in reality, after believing himself to have exterminated the entire species, he encounters an immature Hive Queen who has the potential to restore her people. In the book, they communicate mind-to-mind. While the Formics could not comprehend human language, and their misunderstandings led to war, Ender is able to understand them enough to write The Hive Queen. In the movie, there's no mention made of Ender writing a book, but an older Hive Queen touches his face, as if to literally and figuratively wipe the tears from his eyes and christen him the Speaker then and there, forgiving his actions and charging him with carrying her species forward. Instead of Valentine in the cave, it's an alien who gives him a new identity and a new mission. I might be reading too much into this, but I found it one of the more powerful moments in the film. It's not just the sequels to Ender's Game that are named after epithets, but also Chapter One of the first book. Ender is a “Third” child, a rarity in days of population control. After his brother and sister score very highly on tests of potential leadership, the government authorizes his parents to have another child. But being a Third lets him be mocked by his classmates. Even for circumstances beyond his control, when the government's quest to defeat the Formics is responsible, Ender is jeered literally from birth—and it's a sign of things to come all his life. Of course, “Ender” isn't his real name. His classmates in Battle School point this out, noting it's a good nickname for someone selected in the hopes of finishing the war—which, of course, he does. But within the story, it's given as a mispronunciation of “Andrew” by Valentine as a young child. Perhaps as with the Formics, her failure to communicate in perfect English leads to an epithet for her brother, which for me makes the cave parallels with her and the queen particularly poignant. But the name Andrew doesn't connote endings, per se. In fact, the biblical Saint Andrew is the first commemorated in the liturgical year, presumably a reference to him being one of the first disciples called by Jesus. Moreover, the apostle is described as the brother of Peter—also the name of Ender Wiggin's older brother, a more violent character foil. The young Ender frequently worries that his extremes of force make him as cruel as Peter. But the older Andrew is able to become the Speaker for his brother, too, empathizing with him and retelling his story like another forgiven enemy.